Is this what the Savior meant when He commanded us to “Let your light so shine before men, that they may see your good works, and glorify your Father which is in heaven” (Matthew 5:16)? I don’t think so. 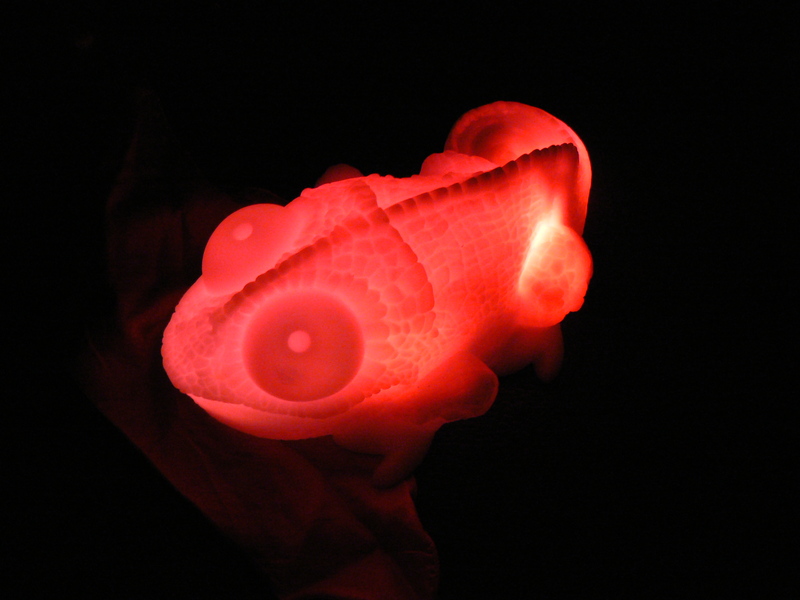 It’s true that the electric chameleon is giving off light, but what is the purpose of the light? In this case the light allows it to exactly match the surface it is on. In other words the light is actually camouflage. It’s much more challenging to step back from the world and act in a way that points others to Christ. Generally the things that cause others to glorify our Father in Heaven aren’t smiled upon by the world at large. I guess the question is: do we camouflage in or do we have the strength to stand out?